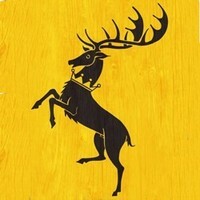 The proud House Baratheon was founded about 300 years ago by Orys Baratheon, a close friend to Aegon Targaryen, the Conqueror. Ever since Aegon’s conquest, House Baratheon was a strong supporter of the Targaryen rule. This only changed several years ago as the cruel reign of the Mad King Aerys Targaryen was brought down by a rebellion, led by Robert Baratheon. Since then, Robert Baratheon has ruled the Seven Kingdoms and tried to consolidate the great houses of Westeros. 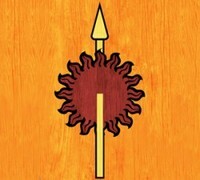 House Baratheon is led by Roberts brother Stannis, who rules from the ancient island fortress Dragonstone. His supporters include the former smuggler Davos Seaworth, the sellsail Salladhor Saan and the red priestess Melisandre. The wealthiest family in Westeros, the Lannisters of Casterly Rock ruled as kings of the Westerlands until Aegon Targaryen conquered the continent. Lord Tywin Lannister, who strives to restore House Lannister to its former glory, managed to marry his daughter Cersei to King Robert Baratheon, thereby greatly increasing the influence of the Lannisters. 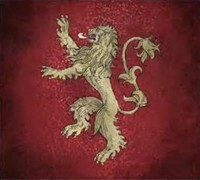 House Lannister is supported by the fearsome Gregor Clegane „The mountain that rides“ and his brother The Hound. The Starks reigned as Kings in the North for thousands of years until they had to bend the knee to Aegon Targaryen. Ever since then, they served as Wardens of the North. Lord Eddard Stark is a close childhood friend to King Robert Baratheon and helped him to conquer the Iron Throne. The home of the Starks is Winterfell, a fortress which is built above hot springs and surrounded by vast leagues of the northern forests. 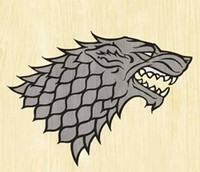 Starks bannermen include the hot tempered Greatjon Umber and the cunning Roose Bolton. Even as their fertile lands are considered the heart of chivalry in Westeros, this proud family has never worn a crown. For centuries, the Tyrells served and occasionally intermarried with House Gardener, the ancient family of the King of the Reach. But after the Targaryen conquest eliminated the Gardeners, the Tyrells bent the knee to the Iron Throne – and then rose to become principal house and Wardens of the South. They rule from Highgarden over fertile fields, vast rivers and rich towns and cities. Which may be one of the reasons for the century old disputes between the grass lands and the less fertile kingdom of Dorne. The Tyrell bannermen include House Tarly and House Florent. 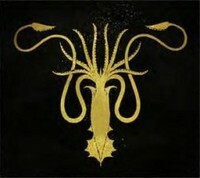 House Greyjoy ascended to the Seastone Chair after Aegon Targaryen slew Black Harren of House Hoare. The Greyjoys claim to be immediate descendants of the Grey King who is said to have been the first ruler of the Iron Islands. The Greyjoys where chosen by the Iron Islanders in a kingsmoot to rule after Harrens death. A few years ago Lord Balon Greyjoy rose in rebellion against the Iron Throne and sank the entire Lannister fleet. His rebellion was violently put down by the combined efforts of Robert Baratheon and Eddard Stark, who took Balons last remaining son Theon as a hostage. House Martell ruled for hundreds of years as princes and princesses of Dorne. Even Aegon Targaryen and his dragons could not bring Dorne under the rule of the Iron Throne. Only an alliance by marriage between a Targaryen king and a princess of Dorne finally brought the region into the realm. 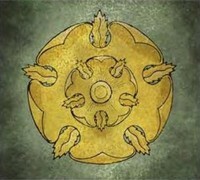 As the last of the houses to join the Seven Kingdoms, members of the royal family retain the title “prince” and “princess” as an honorific and Dorne still retains some unique privileges among the Seven Kingdoms. The current ruler of Dorne is Prince Doran Martell, who is confined to a wheelchair due to a severe case of gout. He has to rely on his brother Oberyn Martell “The Red Viper” and the chief of his household guard Areo Hotah for physical matters. The wildlings, who call themselves "Free Folk", live far to the north, beyond The Wall. 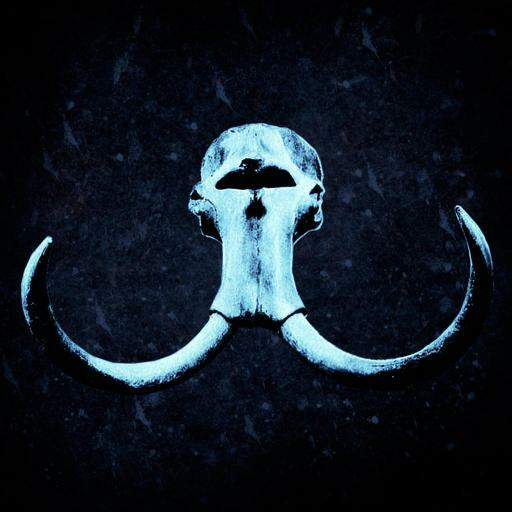 They share some heritage with the people in the Seven Kingdoms, but are considered as unruly savages by most people south of The Wall. This may be due to the fact that wildling raiding parties regularly descend on the northern parts of the Seven Kingdoms.